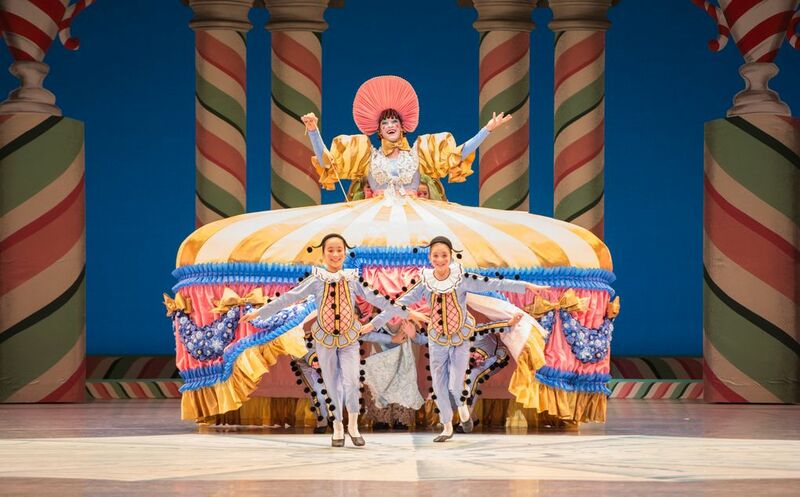 She is nearly 10-feet tall, with a circus-striped skirt that’s 10-feet wide and a bonnet that seems to be reaching to the heavens. And she stops the show, every night. Mother Ginger, in Pacific Northwest Ballet’s production of George Balanchine’s “The Nutcracker,” is the very definition of a crowd pleaser. In fact, she brings her own crowd, the Polichinelles: eight young dancers from the PNB School, who arrive onstage concealed under that stadium-size skirt (which conceals an aluminum frame) and emerge to perform a charming vignette. 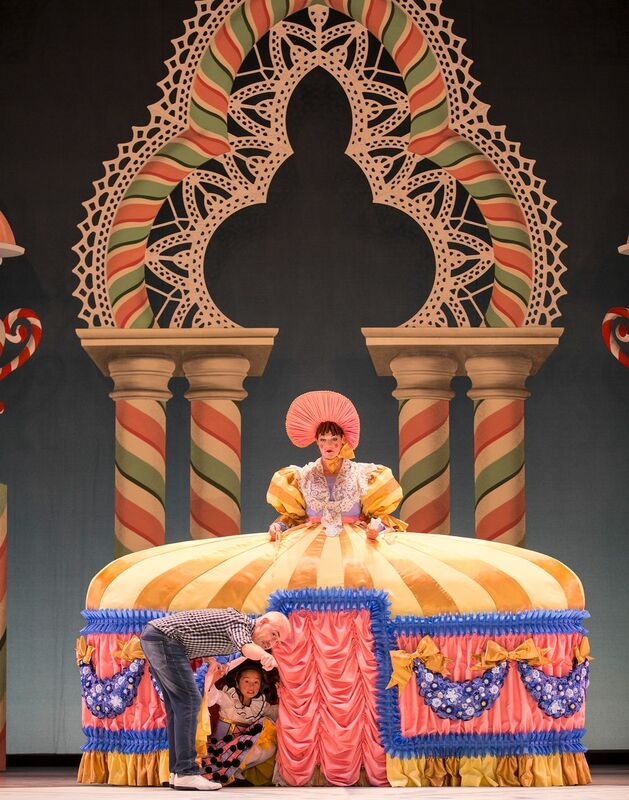 The character is still a relative newcomer to PNB audiences: The company’s long-running previous incarnation of “Nutcracker,” choreographed by Kent Stowell and designed by Maurice Sendak, didn’t include Mother Ginger. But she’s long been a staple of numerous productions of the ballet across America – most notably Balanchine’s, originally choreographed for New York City Ballet in 1954. 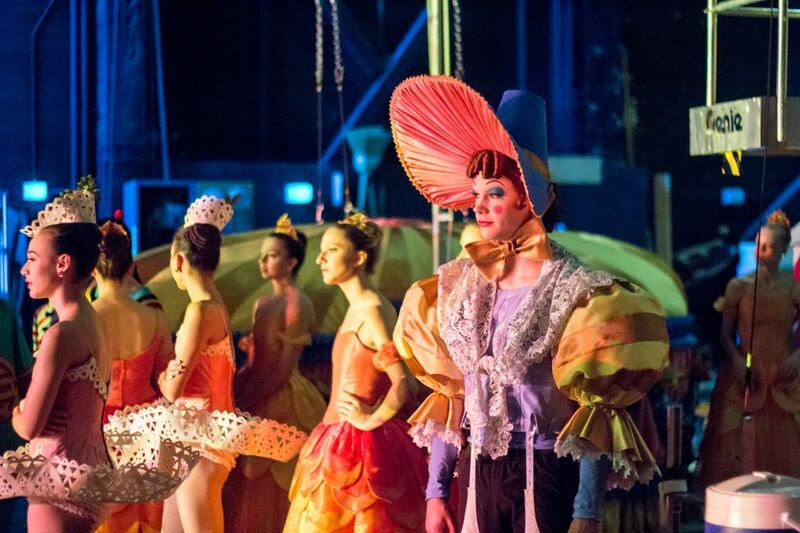 Pacific Northwest Ballet, Nov. 24-Dec. 28; $29-$190 (206-441-2424 or pnb.org). But add that skirt — hooked onto the dancer around his rib cage, via a back-brace-like harness with suspenders — and things get challenging. “You can’t walk forward,” Grant said, noting that doing so creates a risk of tripping on the skirt. “You can only walk sideways.” Add eight sidestepping Polichinelles underneath and, “It’s a squish,” Grant said. Despite the challenges, both Grant and Pertl said they love performing the role — and not just because, as Pertl noted, it allows them to go onstage in jeans and boots. “It’s the only role where you get to go on stage and you’re not really given a lot to do, so you get props and you get to make it up on the fly and act it out,” said Pertl. 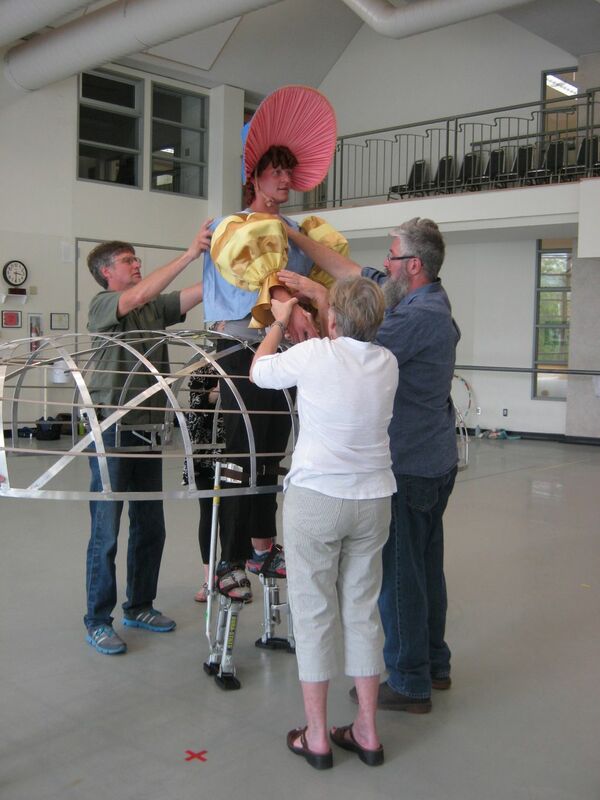 The props, which include a mirror, a tambourine, a fan and a parasol, are attached to the costume with ribbons. Each Mother Ginger can shape his own approach to the role. Grant said he’s pretty consistent. “I have a story that I tell, from beginning to end, in my characterization,” he said. Pertl likes to change it up, trying different things. Correction: A photo caption has been updated with the correct name of the corps de ballet dancer — Henry Cotton — pictured.